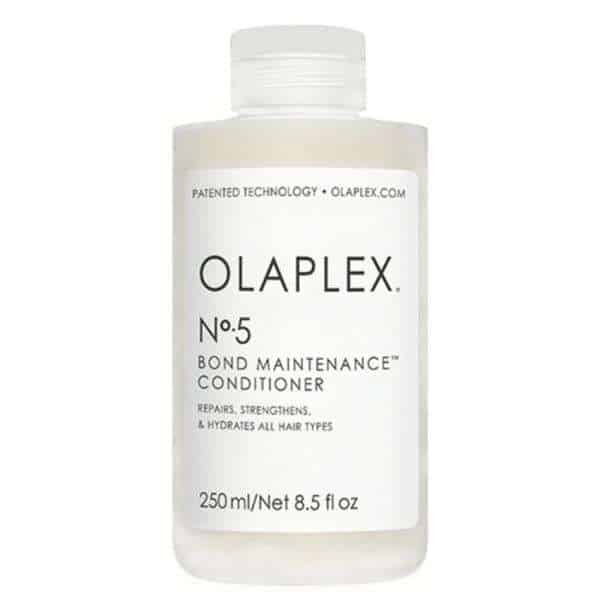 Olaplex No5 Bond Maintenance Conditioner with a patented active ingredient. 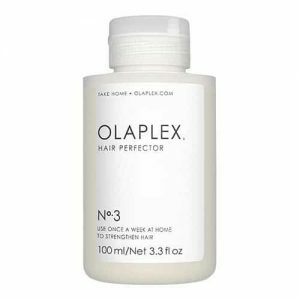 OLAPLEX mends broken bonds in the hair (which are caused by chemical, thermal and mechanical damage) and repair them, restoring compromised hair to former glory. 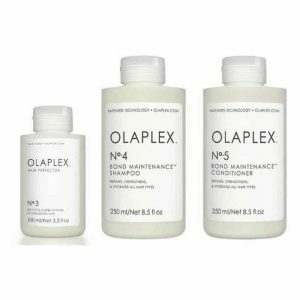 Previously only available in salons, the OLAPLEX No 5 Bond Maintenance Conditioner repairs hair bonds and gently restores hydration levels without adding excess weight. A daily restoring and hydrating conditioner, this silky fluid deeply hydrates and strengthens hairs as well as repairing shattered hair bonds. Use in-between your salon or styling sessions so you can carry on maintaining your favourite hair colour and style without the worry of damage beyond repair. The No 5 Bond Maintenance Conditioner formula is also colour- sulfate- paraben- gluten- and nut-free as well as vegan-friendly too. Use alongside the No 4 Bond Maintenance Shampoo as well as the No 3 Hair Perfector weekly treatment. 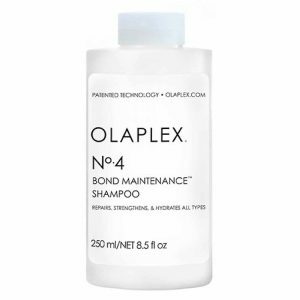 Apply to damp hair, following the No 4 Bond Maintenance shampoo, and work through hair from root to tip and then wash off. Can be used alongside the weekly No 3 Hair Perfector treatment.